During fastening also want something sweet. 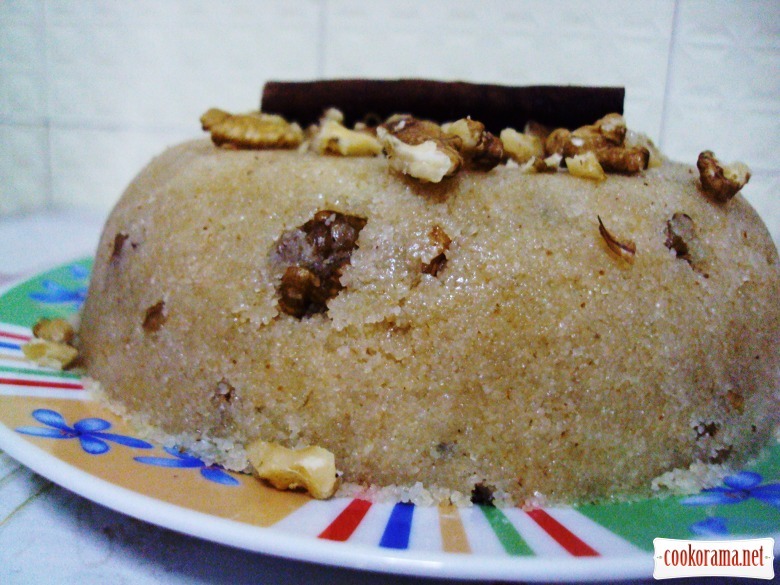 I propose halva, prepared from semolina. Dilute sugar in water, add cinnamon stick. Boil syrup for 5-7 min. 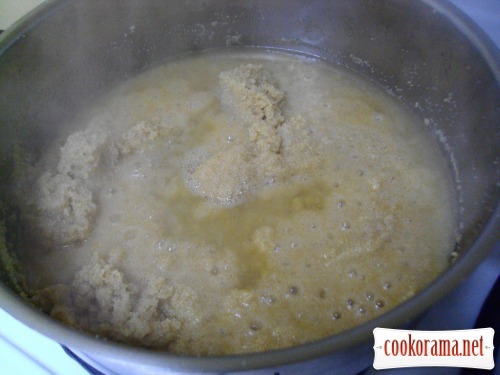 Heat oil in saucepan and fry semolina, constantly stirring, till golden color. Gradually pour syrup in saucepan (CAREFULLY!!! Syrup sprinkles a lot). Always stir. 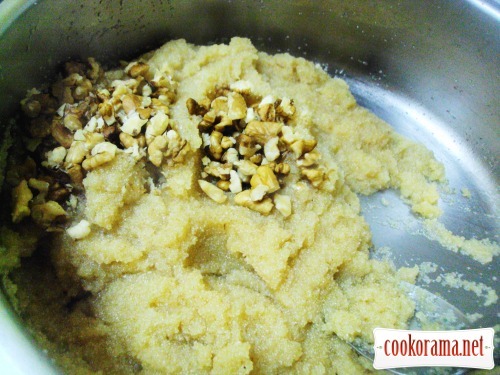 Once semolina absorbs all syrup and «porridge» removes from walls, add coarsely chopped nuts. Stir and remove from stove. Spread halva in form. 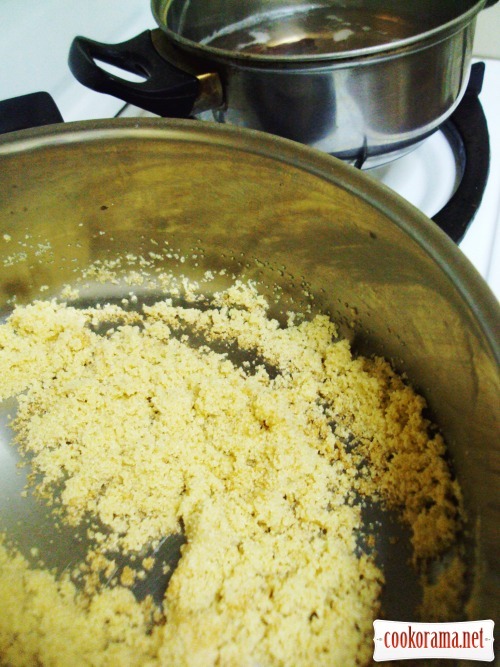 Press with spoon densely. Cool it. 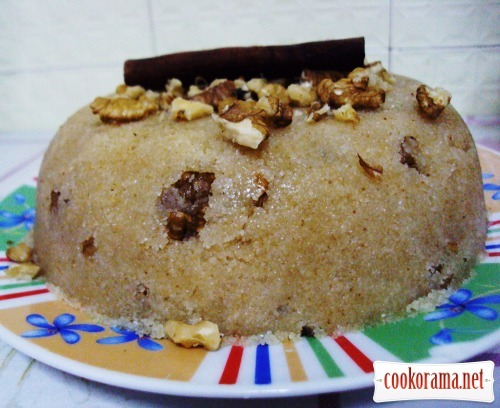 Spread chilled halva on dish, flipping form on dish. Sprinkle with nuts and serve. 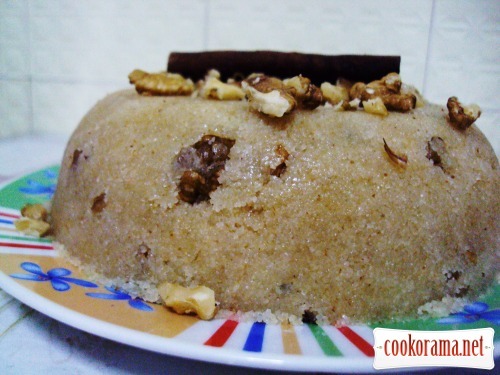 Top of recipe "Halva from semolina"
І навіть з манки халва буває. Це круто! Я пробовала похожее блюдо из татарской кухни, очень вкусно! Дарья, для начала можно ознакомиться с греческой кухней… А затем и критиковать… А виды халвы я знаю! Всего Вам лучшего!! !